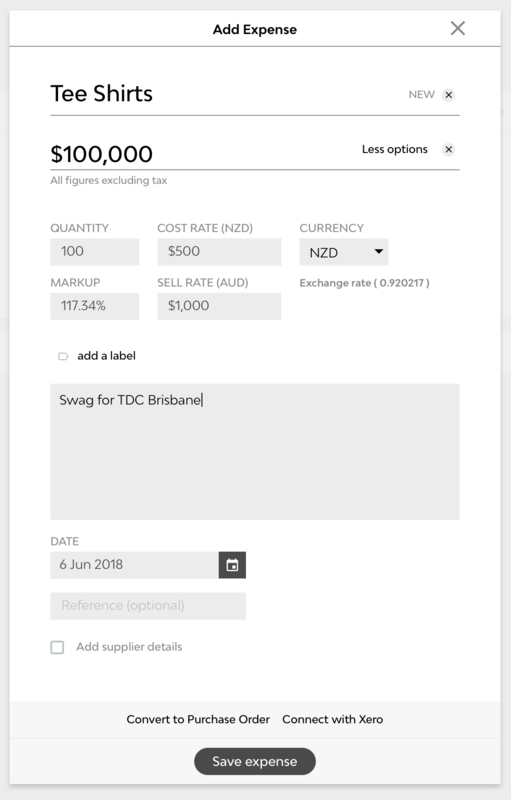 Don't convert the existing amounts on the quote, which means simply changing the currency code and leaving the existing totals. Allows users to select a check box asking Streamtime to fetch the current exchange rate using the fixer.io app. The rate can be manually edited which will then convert the existing figures on the quote accordingly. Foreign currency Quotes/PO's/Invoices are converted back to the 'home' currency unless specifically labelled. The rate used to convert these figures back to the home currency is the rate fetched from 'fixer.io' at the time of creation. Totals will only display if the column figures have been converted back to the home currency. 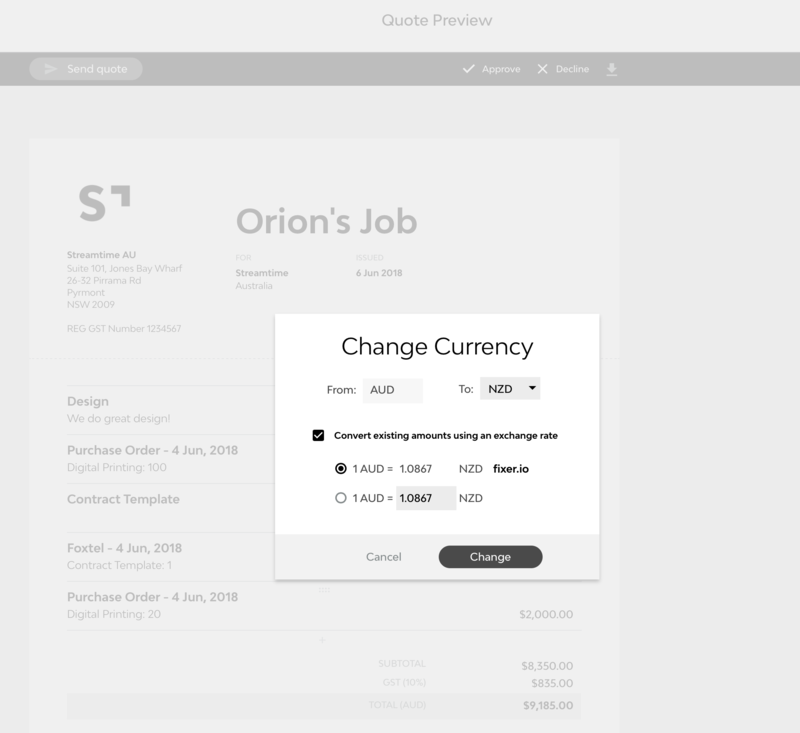 When adding an expense to a job, within 'more options' Streamtime offers the ability to change the currency. This is handy for expenses incurred within another country. 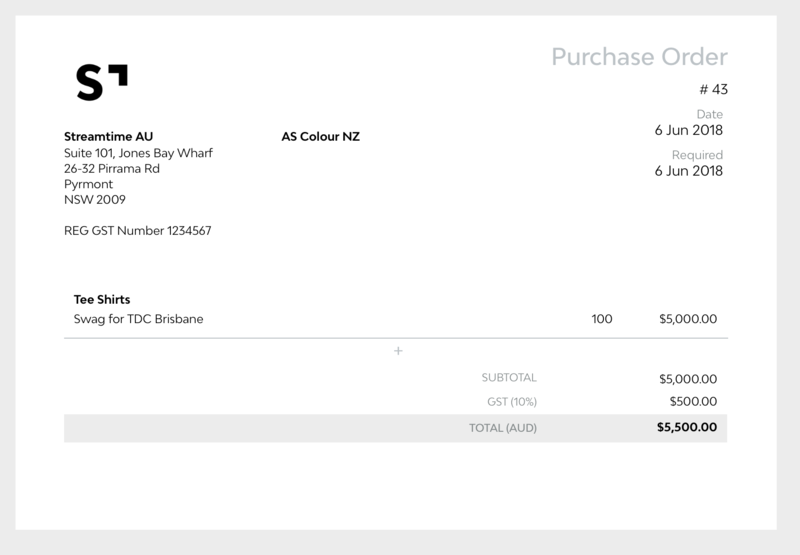 An expense can be exported directly to Xero as a 'Bill'. Be sure that your Xero Accounting Subscription plan includes multi currency support. A formal PO can be created directly from the job side panel or you can convert an expense like the above 👆to a PO in one click. PO's follow the Quote and Invoice behaviours using templates that can be edited, saved as pdf's or sent directly to your supplier. A PO can be exported directly to Xero as a PO. Be sure that your Xero Accounting Subscription plan includes multi currency support. Follow the same behaviour as quotes in regards to multi currencies. Payments received are recorded on the invoice using the foreign currency. 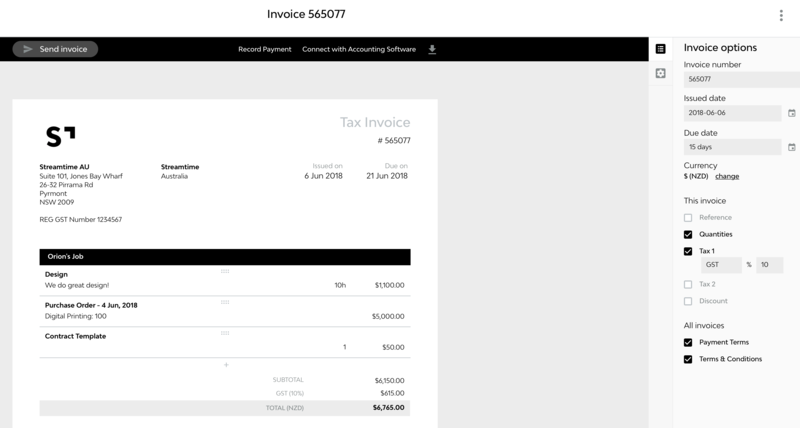 An invoice can be exported directly to Xero. Be sure that your Xero Accounting Subscription plan includes multi currency support.